One of the biggest questions we get at Guide2WDW is how to save money on your Walt Disney World vacation. After all, a Disney World vacation can be costly, but if you search for the right deals, you can save hundreds of dollars on your hotel and tickets. 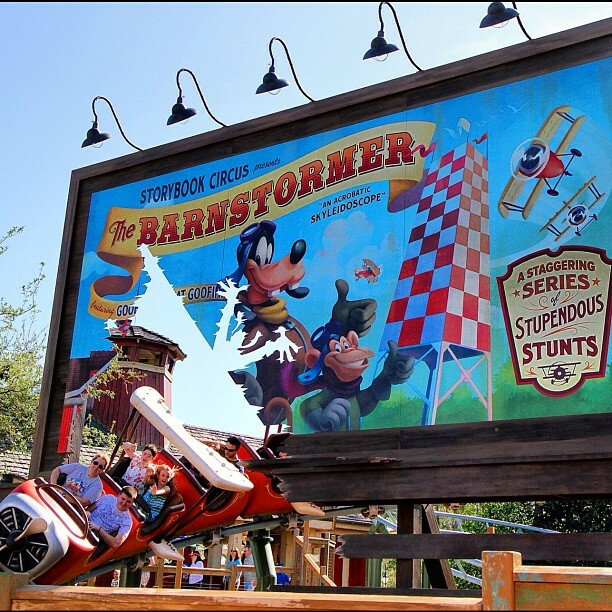 These deals include seasonal promotions and packages that Disney widely publicizes. However, there is another way to save big on your Disney World vacation that not as many people know about: (drumroll please…) The Disney World Unique Offer Code. These unique offer codes (formerly known as PIN codes) are some of the sought after Disney World discounts for three reasons: they are elusive, they are exclusive, and they can save you enough money that you’ll feel like swimming through a pile of gold coins like Scrooge McDuck. These codes can range anywhere from 15% to 40% off a Disney World vacation! There’s no one way to sign up for a guaranteed unique offer code, Disney will just send the non-transferrable discounts out to potential customers. The mystery can be maddening, but there are ways to increase your odds of Disney sending you one. In this article, I’ll lay out some of the best ways to improve your odds of having Disney send you a great discount code. In order to understand the methods of increasing your chances for a Unique Offer Code, you have to understand what Disney is trying to accomplish with these discounts. Disney sends out unique offer codes to potential guests they believe will be interested in a Disney World vacation, but they feel aren’t a safe bet to book. If you always visit Disney World for Christmas every year, Disney can count on your reservation and will be less likely to send you a code. The Unique Offer Code is an extra incentive to get someone to pull the trigger on a WDW vacation. So these tactics are ways for you to show your interest to Disney without fully committing. It’s kind of like playing hard to get with one of the biggest companies in the world. The most reliable tactic I know of is to sign up for Disney World’s vacation planning videos. These streaming videos are a great way to learn more about the parks and get excited for your vacation. They’re also a great way of letting Disney know that you are a potential customer. Just by providing your email and address (or by logging into your MyDisneyExperience account), you get access to these videos. 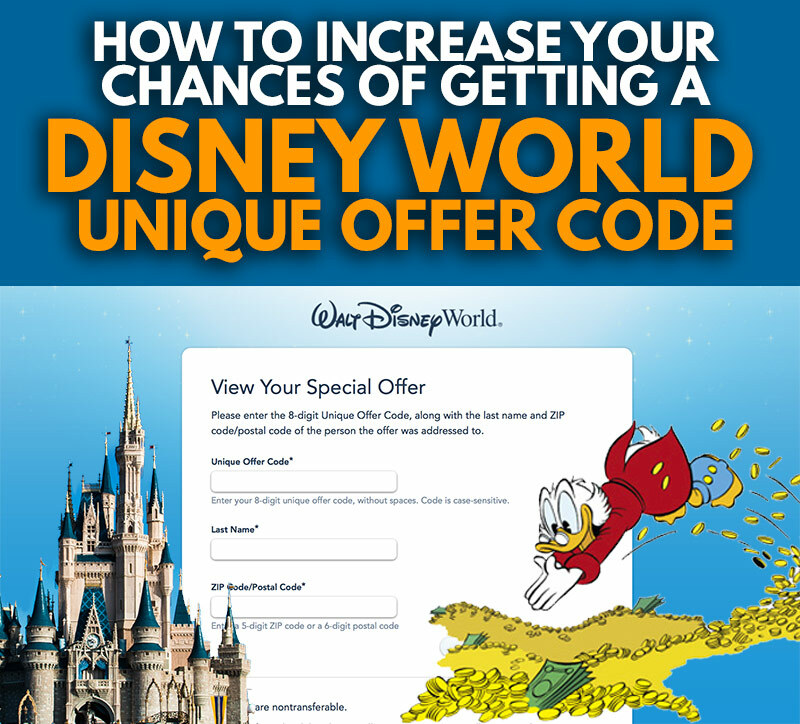 Keep your eyes peeled for your mail and email over the next few weeks, as it may contain a Disney World unique offer code. I’ve also heard people having success signing up for the Disney Cruise Line planning video and getting a code. 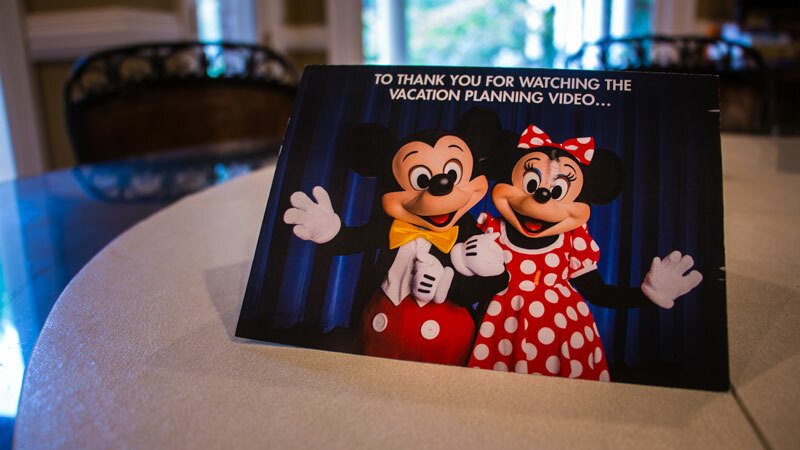 To sign up for the Disney Parks Vacation Planning Video, click the graphic below. To sign up for the Disney Cruise Line Planning Video, click the graphic below. Tactic 2: Price out a Disney World vacation package, but don’t book. When playing hard to get with Disney World, you have to show that you mean business. 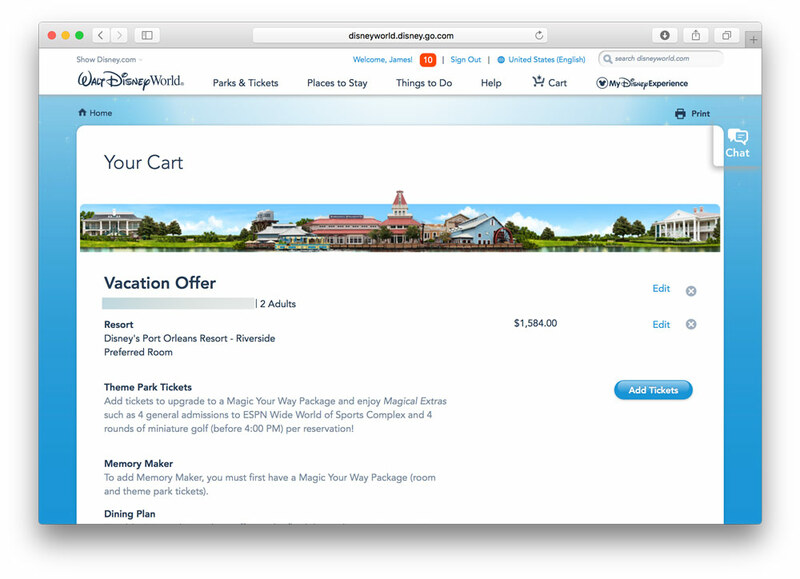 Go to DisneyWorld.com, create a MyDisneyExperience account (if you don’t already have one), and then start the process of booking a Disney World vacation. Select the dates and the hotel you’re interested in. Go all the way to the last screen, but don’t book the package (that would defeat the purpose). This is a great way to let Disney know when and where you’re interested in visiting, and Disney is more likely to tailor an offer for your specific dates or hotel. If you are the type of Disney World visitor that goes at the same time every year, do this for a time of year that you don’t normally go. By showing that you’re thinking of changing up your visiting patterns, you become less predictable, increasing your chances of getting an offer code. (As with previous tactic: Doing this with multiple accounts could increase chances). Thanks to the randomness of the UOCs or PIN codes, getting yourself signed up for as many of Disney’s online accounts as possible will help your odds. 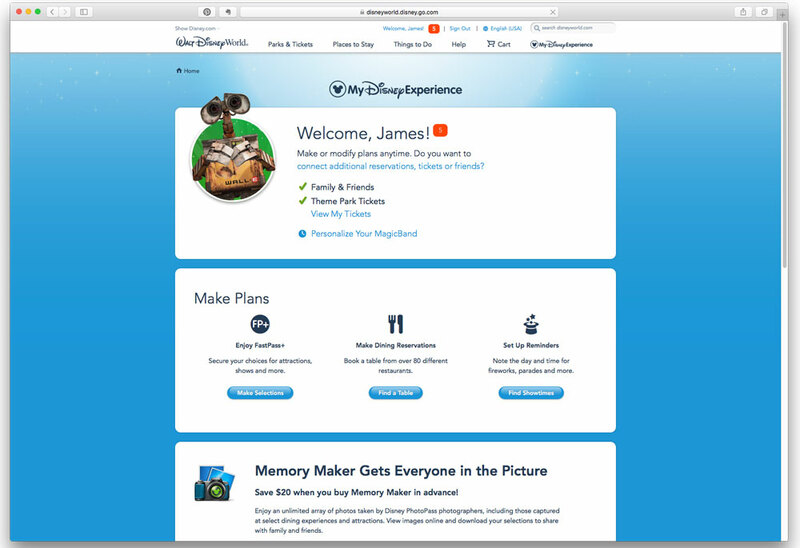 First, start with a MyDisneyExperience account. Then sign up for a Disney Vacation Account (it’s a savings account that you can deposit money towards your Disney vacation. However, it’s free to sign up and you don’t have to put any money in). Heck, sign up for Disney Movies Anywhere, Disney Movie Rewards, or Disneyland.com. Sign up to get more information on Disney Vacation Club. Just express your interest in Walt Disney World while signing up, and always hit the checkbox that says you’re interested in receiving communications from Disney. Anyone can make an Advanced Dining Reservation for up to 180 days out. Login to your MyDisneyExperience account, and then book a dining reservation for a date in the future. If you have a specific date you’re looking for the code to be by, use that date, otherwise, any date in the next 180 will do. You can book reservations at any restaurant, so a Coral Reef reservation is just as good as Be Our Guest for these purposes. As a courtesy to others, don’t book hard to get reservations that you don’t plan on using. Just be sure to cancel the reservation a few days after making it. That will allow others to grab that reservation who want to dine there, and it will make sure you’re not charged the no-show fee. If you have a ticket already linked to your MyDisneyExperience account, you can book FastPass+ reservations 30 days out. Grab a FastPass for a date in the future, then cancel it. Like the previous tactic, cancelling shows Disney you’re not 100% a safe bet to visit, and it’s a courtesy to others to release that FastPass reservation. Take Disney’s online surveys, which will pop up on their website or sometimes will be emailed to you. Sometimes these will ask your intention on returning to Walt Disney World. Say you’re interested, but not sure. Have every adult in your party sign up. If they are lucky enough to get the code, they’re the only ones who can use them. Disney will run sweepstakes throughout the year (usually there is one big one around the start of the year). It’s always a good idea to enter these official Disney contests, because, hey, you might win. But it’s another way of showing your interest in a Disney vacation without fully committing. Always check your email and snail mail from Disney. It might contain the code inside! Remember the Disney accounts you signed up for? Periodically log in to those sites and browse for a bit. Look up Disney attractions and restaurants on DisneyWorld.com while logged in. When signing up for all of these accounts, remember that Disney ties the Unique Offer Code to your name. So be sure to always use your real name when signing up for these accounts. Disney will also sometimes send the code in the mail, so make sure you’re using an address you actually have access to. Don’t make a million accounts with dummy addresses and fake names, as that’s just shady and won’t do you any good. However, making an account for each person in your household, or utilizing a secondary email or work address could help you increase your odds.